Did you know that in Mexico they have a ritual in the final 9 days leading up to Christmas? It is called the Posadas, which means ‘shelter’ or ‘lodging’ and takes place from Dec 16th – Dec 24th. It re-enacts Joseph and Mary’s search for somewhere to stay in Bethlehem: each night a couple will call at someone’s house and be turned away by an ‘innkeeper’; and on Christmas eve they are finally welcomed into the last house where they celebrate the birth of Jesus. Have a little think about Mary. I can’t help thinking she must have been very disappointed in God at times. Having been told she was going to be mother to the ‘Son of the Most High’ by an angel, I wonder if she thought she had dreamt it or imagined it as she made the long uncomfortable journey to Bethlehem in the late stages of her pregnancy at the whim of an emperor. And then finally to arrive to find that there was nowhere she could have some shelter, some privacy, some dignity as her labour started to commence, except a cattle shed. I think I would have felt pretty angry with God if had been me. Perhaps I’m reading too much into the story from a 21st century perspective; all we can do is speculate what Mary thought or felt as we know so little from the few words about her in the Bible. Mary traditionally has been presented as such an ethereal, calm, placid woman over the ages but I like to think she had some pretty frank discussions with God as she prayed, trying to make sense of it all. 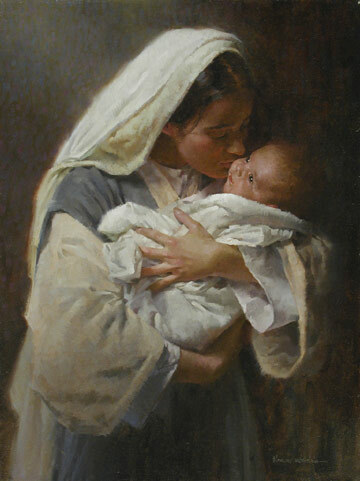 Maybe that is what is meant by Luke 2:19 ‘But Mary treasured up all these things and pondered them in her heart.’ – I imagine Mary telling the story to Luke and discussing how at times things made no sense, and how there would then be incidents of surprising holiness and affirmation. How do you deal with your disappointment or anger with God when you don’t understand what he is doing in your life, in your work, in your family, in your church, in your neighbourhood, with your friends? In this time of waiting, perhaps we can be real about those feelings and acknowledge that we don’t always understand how God works. And perhaps we can look at the Christmas story as an example of how God was working to draw everyone to himself, even if it made no sense to Mary at times.